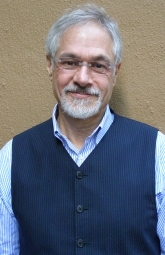 David Kezur, LCSW, has been a faculty at Ackerman member since 1991. He has taught systemic therapy in Hong Kong and Japan and is presently responsible for providing training in systemic therapy at the Japanese Association of Clinical Counseling in Tokyo, Japan. A former member of the Infertility and Couples Research Project, Mr. Kezur co-authored Couples Therapy for Infertility and several articles on this topic published in Family Process. Mr. Kezur has a long-standing interest in the intersections of Buddhist Psychology and systemic therapy. He regularly teaches workshops on this topic and has presented at AFTA and the Annual Marriage and Family Institute. Mr. Kezur maintains a private practice in New York City.